PS4 PRO is arguably the most powerful game console in the market as of today, but to a large portion of its fanboys who’re classified as enthusiasts, the stock internal hard drive specifications are quite disappointing and don’t meet the expectations of an enthusiast from a storage device incorporated inside a mighty game console. So, what are these “disappointing” specifications? And what are specifically the main reasons that make many users tend to upgrade/replace the stock hard drive with a newer one? And what are the available storage solutions for this purpose? These questions and more you’ll find their sufficient answers within this article, so keep reading please. 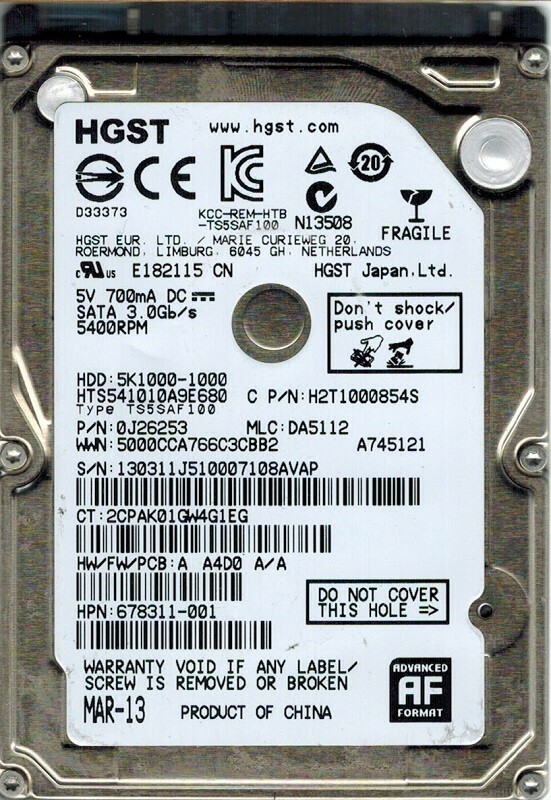 Any computer savvy can easily tell that this drive, with its specifications, is astonishingly worthless to be in a mighty game console like PS4 Pro. And if you’re serious about enhancing your gaming experience with PS4 Pro, and enjoy a remarkable performance boost, it’s inevitable, then, to upgrade PS4 Pro hard drive with a high-performance drive like Seagate Firecuda 2tb SSHD that offers unparalleled performance in the industry which makes it the fastest 2.5″ drive in history as of today. Back to the topic. We’ll discuss below the main three specs of PS4 PRO HDD, that are: Size, Speed, Cache Memory and Interface. First of all, in computer science, according to binary standards, which is what PS4 operating system follow to determine file size, 1 TB is equal to 1024 GB. But in decimal standards, which is used in marketing a storage device, 1 TB means just 1000 GB. So here you have lost 24 GB of storage space. Moreover, the hard drive filesystem that manages the functionality of the drive and controls stored data takes a percentage of the overall drive’s size to install. Add to that the storage requirements of PS4 System Software which consumes more than 1 GB of space, and the newer the PS4 system software is, the larger the space that is consumed. For instance, the full-package (not just the update patch) PS4 System software update 4.0 came with a size of almost 833 MB, whereas version 4.5 comes with a size of 877 MB. That’s why your PS4 PRO hard drive available space might differ from what you see in this image as it was taken before PS4 Software update 4.5 that comes with additional file size. The speed of PS4 PRO stock hard drive is 5400 RPM, which is the standard speed of portable 2.5″ mechanical hard drives. It was made lower than 7200 RPM, which is the standard in desktop drives, in order to maintain the maximum reliability in this too compact shape. The PS4 PRO stock hard drive comes with a very low cache memory size that’s limited to 8 MB, whereas the standard cache memory of modern laptop hard drives is 128 MB. Cache memory significantly helps increase the speed of data transfer. The speed of the disk’s I/O interface to the computer almost never matches the speed at which the bits are transferred to and from the hard disk platter. The cache memory is used so that both the I/O interface and the disk read/write head can operate at full speed. Therefore the bigger it is, the higher speed and more consistent performance the drive will have. SATA II in 2016?! Are You Kidding Me?!! 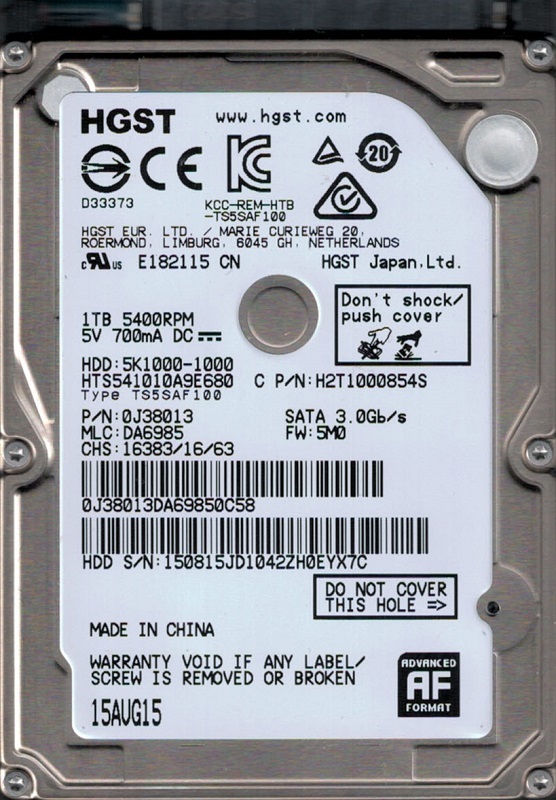 SATA III was officially released in May 2009, and it offers a transfer rate of 6.0 Gbps that’s two times faster than its predecessor SATA II that offers only 3.0 Gbps transfer rate. As for PS4 PRO console, it was officially released for the first time in Oct 2016, which means more than 7 years after the release of SATA III. Doesn’t it sound weird enough to question the reasons that impelled Sony to use a SATA II hard drive (backward) instead of SATA III? Most probably Sony was aware that time how disgraceful it was for a professional game console to include an old obsolete piece of hardware in its flagship game console’s architecture, but the low price fascination of obsolete products was so irresistible to Sony in order to offer PS4 PRO to the audience with a competitive cost. It’s worth to mention here that PS4 PRO motherboard supports SATA III interface, which presents its real power whenever a SATA III storage device is connected to it. That’s in fact a precautionary step by Sony to attract as largest fans as possible while maintaining the competitive price. During our investigation on the real specifications of PS4 PRO stock hard drive, we have found some interesting facts that might shock you! Our strategy for investigating this issue is solely based on research. We have collected all required information that helps us reach a logical conclusion. You can verify the image above by downloading the official datasheet of Travelstar® 5K1000 HTS541010A9E680. The picture is now clearer and it’s too easy to realize why Sony has opted for the hard drive with SATA II interface. 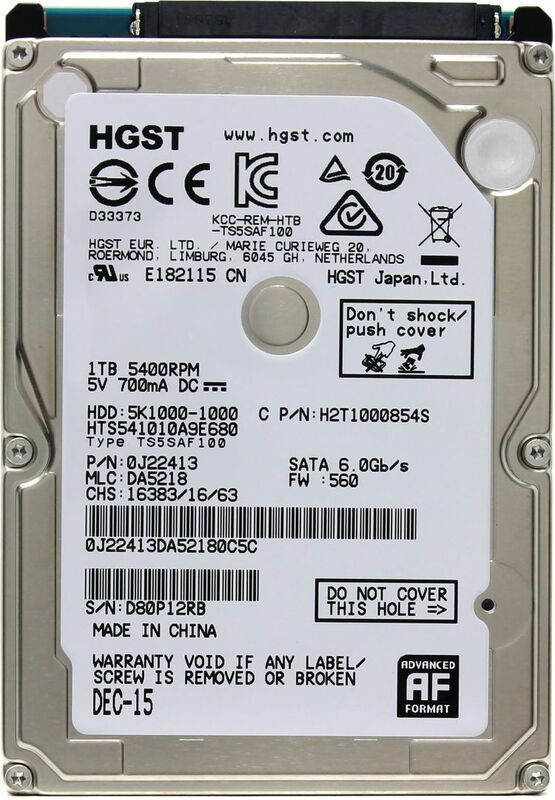 What we can deduce from this quick investigation is that the initial release of HGST Travelstar® 5K1000 was configured with SATA II interface, and it didn’t last too long until, for a reason (probably marketing purpose) it was modified and improved with SATA III to meet the latest trends in the consumer data storage segment at that time (i.e. year 2012). But what to do with the heaps of the obsolete stocks in HGST’s stores of this hard drive? The answer is simple—conduct a dirty deal behind the scene with a huge company that would happily buy all the stocks for very low price. That way Sony would guarantee the lowest price for its flagship console that would crush the competitors, especially xBox One. Is It Compulsory to Upgrade? In fact, the PS4 PRO stock hard drive, although obsolete and too old, still performs nicely for its purpose, but not as a drive made for a superb high-end game console. If you got PS4 PRO as a gift or for a cheap cost, you’re probably happy with the performance it offers. But to the one who bought it and paid from their own money, it’s a disappointment. On the other hand, one of the best features of PS4 PRO is the ease of swapping/upgrading the stock hard drive. You can opt for a faster and larger drive for an adequate price without that won’t let you down. Check our PS4 PRO Storage Upgrade Guide for more details. The “900 MB” should be 900 GB. In decimal, there are 1,000 gigabytes (GB) in 1 terabyte (TB). In decimal, 1 terabyte (TB) is is equal to 1,000 gigabytes (GB) or 1,000,000 megabytes (MB), not 1,024 MB. I think you meant to say 1 GB (gigabyte) is equal to 1,024 MB (megabytes), which is also incorrect in decimal representation. You are confusing decimal with binary in terms of what is used for storage size. Decimal uses the metric system, with comes from the base power of 10. So 1 TB = 1,000 GB = 1,000,000 MB. So in decimal, 1 kilobyte (KB) = 1,000 bytes. Binary uses kibibytes, mebibytes, gibibytes, and tebibytes. So 1,024 bytes = 1 kibibyte (KiB). 1,024 kibibytes (KiB) = 1 mebibyte (MiB). 1,024 mebibytes (MiB) = 1 gibibyte (GiB), and so on. Marketing is using decimal (kilobytes, megabytes, gigabytes, terabytes,) for drive storage, but Windows and PS4 uses binary (kibibytes, mebibytes, gibibytes, and tebibytes.) In MacOS and Linux, those operating systems use decimal to represent storage space, so drive sizes are exactly the same as advertised. Thank you for this informative comment. Yes, you’re right about the confusion between GB and MB, it was a type due to my haste in writing. I have corrected that. As for the decimal and binary stuff, you’re also correct theoretically. But in reality, PS4 operating system determines the file size based on the binary standards. Therefore, the user shouldn’t expect to read 1tb on PS4. I hate to be a bother but I’m still seeing the 900MB error in the article. No bother at all 🙂 Thanks for taking time to correct the mistakes you found on my website. I totally appreciate it. I have just corrected this one you notified about. Thanks for your comment. According to my long experience with hard drives, if multiple high-end drives fail inside the same system within a relatively short period, then it’s the system itself that needs to be fixed. Most probably your PS4 is causing electric shocks that harm/damage internal hard drives. Maybe you pulled out the stock drive incorrectly (toughly/harshly) and you made some damage to the sockets (that’s possible). Or maybe it’s put in a place with high electromagnetic/electric tension. That happens when your system is so close to many active electric sockets and active electronic devices. But what I am saying is that the real problem is with your game console not the drive itself. Now the drive is gone and in need of replacement, but next time be careful with your new drive. Hi, just got a brand new PS4 Pro, Red Dead Redemption 2 edition and when opened up revealed a Seagate st1000lm035-1rk172 inside with 128Mb Cache, RPM 5400 and Size 1 Tb. So they did update the HDD marginally from what I have seen. Different brand and more cache only though. Just my observation. You won’t notice much performance difference between this and the original stock hard drive. But the good point here is that it is more reliable and a little faster. That’s all what you get from this different hard drive.